There are a number of spots throughout Shimane where you can enjoy the flowering cherry trees, marking the changing season while also being a poignant symbol of the transience of life here in Japan. One highly recommended location for walking among and even having a picnic under the pink and white flowers is the Tamatsukuri Onsen (hot-springs) area is the south of Matsue City. 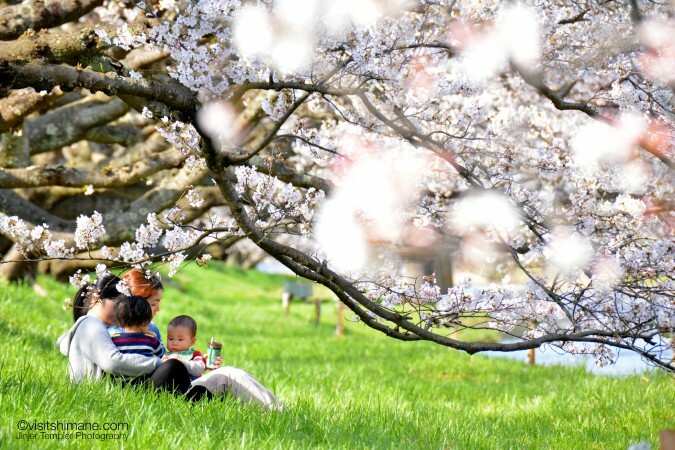 Both locals and tourists alike enjoy the chance that the warm spring weather brings to relax outdoors. 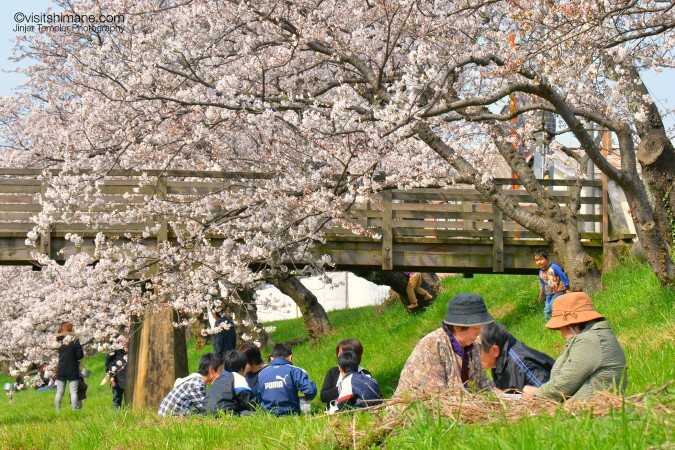 You can view the cherry blossoms as you take a stroll through the onsen area lined with highly-esteemed traditional Japanese travel inns, or venture further down the river where you can take a break on the grassy riverside. During this time of year, rickshaws carrying guests in the fresh open air are a common sight. 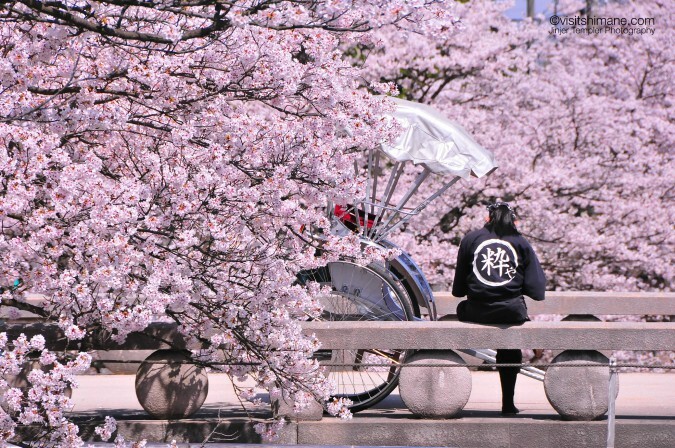 And the cherry blossom viewing doesn’t end when it gets dark. 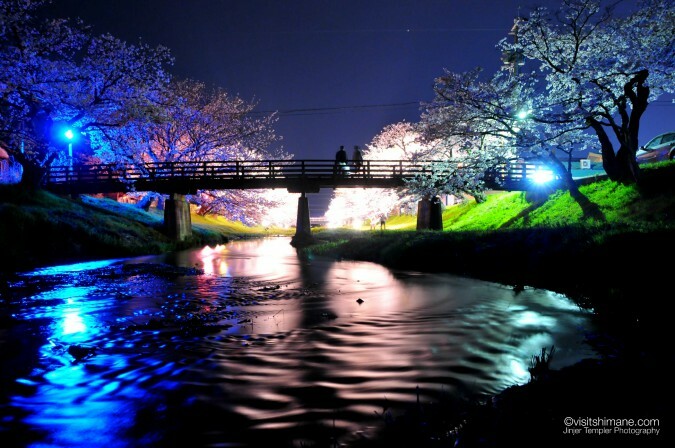 The night-time just offers another way to enjoy the blossoms during their short-lived flowering season. Night-time illuminations create a mystical atmosphere, and the chance to take some spectacular photographs. 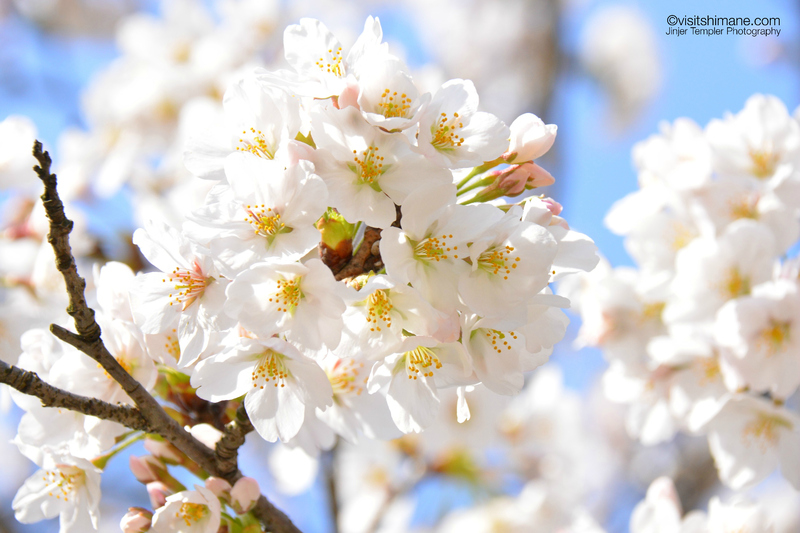 So enjoy Shimane in spring, with a visit to the Tamatsukuri Onsen area during the cherry blossom season.